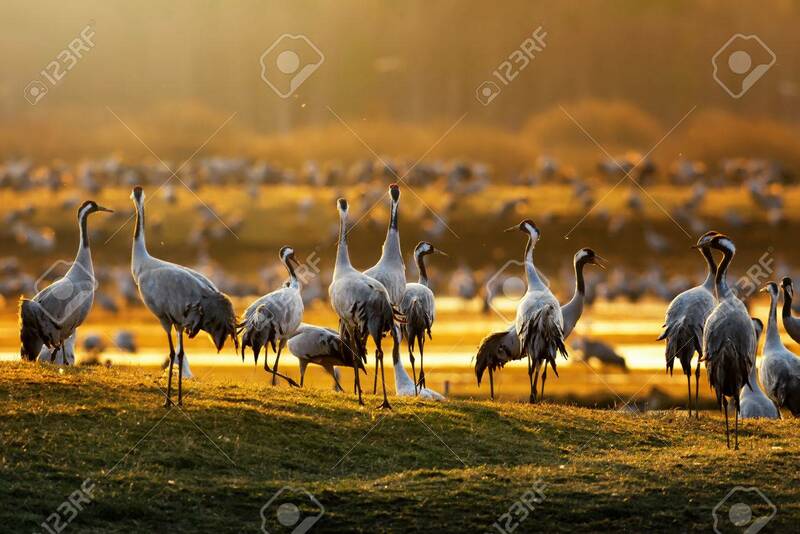 Crane Birds (Grus Grus) In Morning Light During A Spring Sunrise At Hornborgarsjon, Sweden Royalty Free Stock-fotók, Képek és Stock-fotózás. Image 27550457. Minden jog fenntartva. © 04/24/2019 123RF Limited 2005-2019.